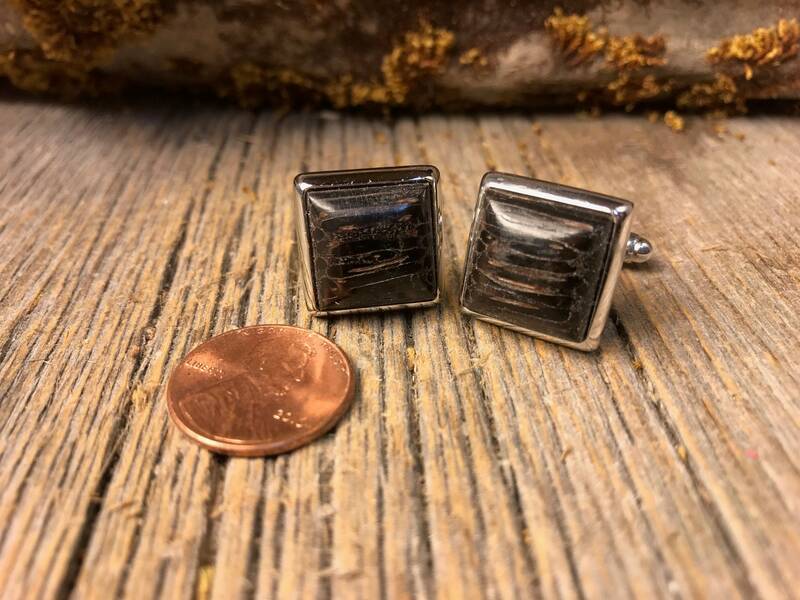 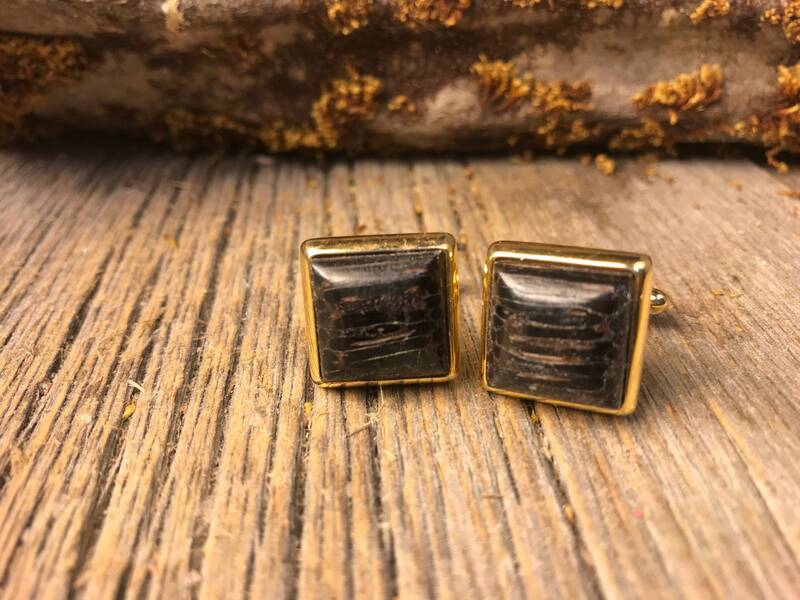 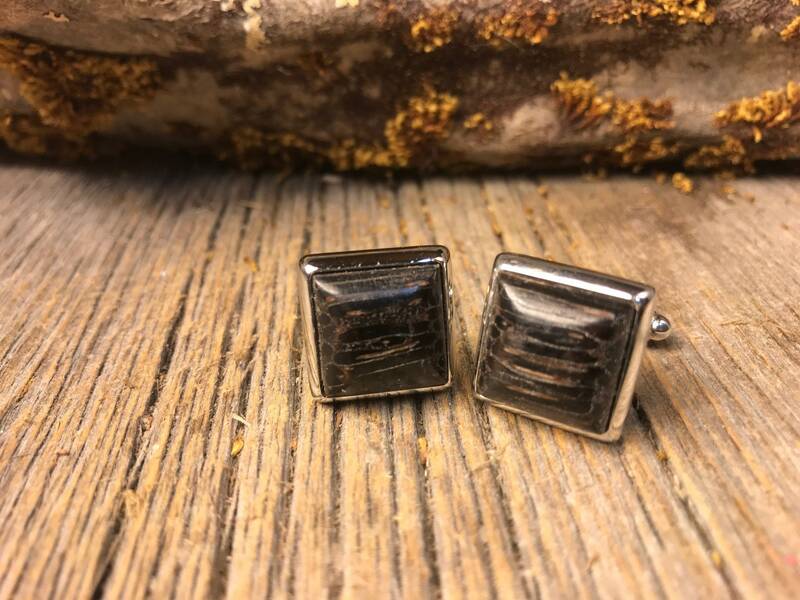 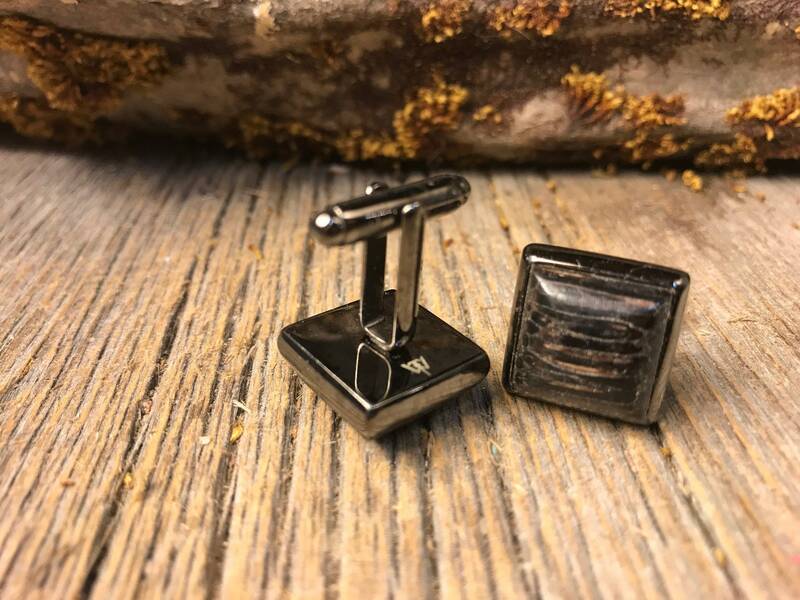 This simple and unique Cufflink Set features a gorgeous cut of Black Palm, precisely set into high-quality square French cufflink in either, silver, gold or gunmetal black. 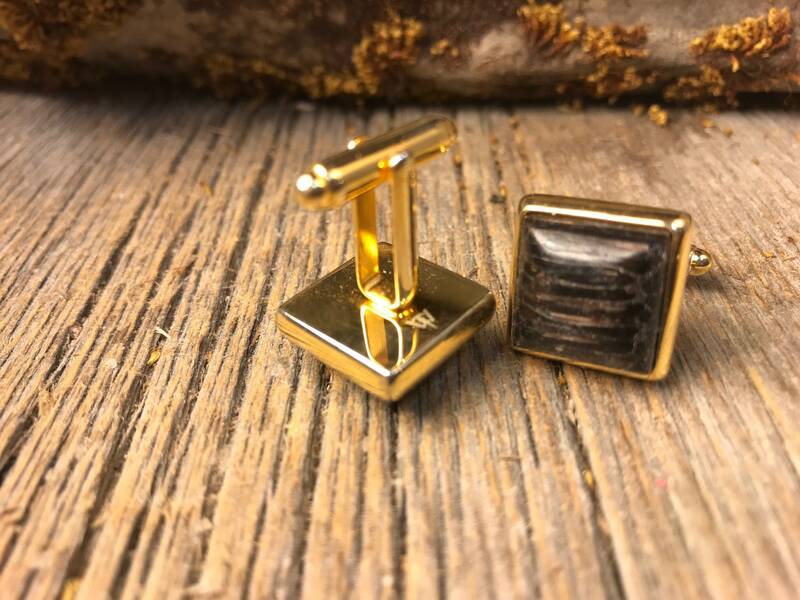 The hand-shaped wood blank is cut from solid stock, not laminated from inferior veneers. 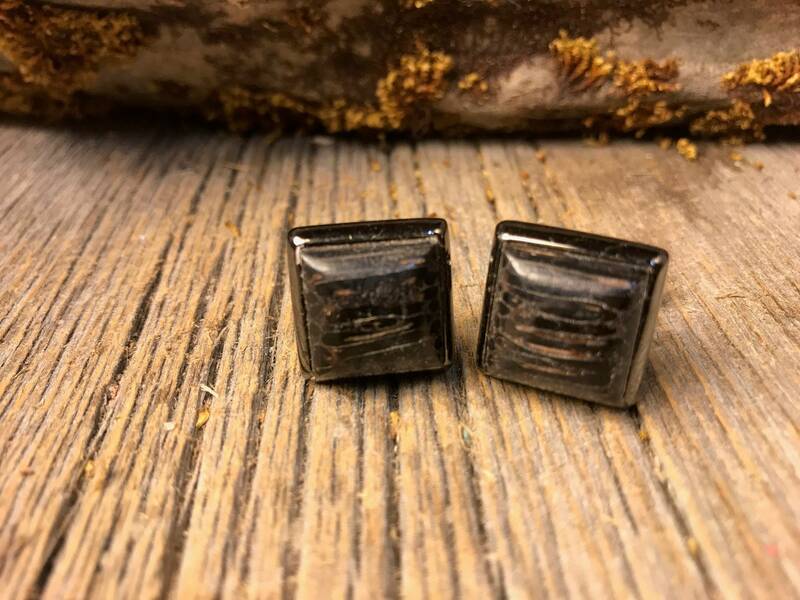 -	Each piece is then individually finished and hand buffed to a warm glow.